Super cheap last minute flights: Wien-Burgas for €58! If you are a flexible traveller, we have a great offer for you! You can now book last minute charter flight from Wien to Burgas in Bulgaria for only €58. This is a fixed date offer which allows you to stay nice 2 weeks on the coast of Black sea and enjoy last days of holidays! Bulgaria offers plenty of great hotels for super low prices. Even All Inclusive isn’t very expensive in this area, give it a try! Book as soon as possible on Expedia. 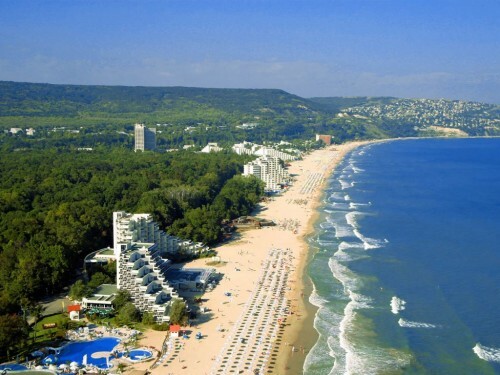 Burgas is really cheap destination with plenty of affordable hotels directly at the beach! You can get cheapest hostels from approx €10 per night. Use our search engine to compare all the accommodation options online at once. If you want to discover the whole country and you are slightly adventurous renting a car is the best option to travel around so check the rates to get the best prices. « Sri Lanka & Thailand in one: Colombo & Bangkok for €488!